Pampas del sur Chardonnay Chenin Blanc 2016, Mendoza, Argentina: Aromatic, honey-melon scented Chenin Blanc, meshed with steely unoaked Chardonnay. Delicious notes of citric fruits and peach with an oral background. A solid mineral acidity combined with a sweet and fresh sensation. The list of results is complete with full wine details, stockist information and tasting notes – a trusted source of wine recommendations for wine consumers in Asia. A total of 3,235 wines were tasted in the Decanter Asia Wine Awards 2017 (DAWA 2017), the most since the competition launched in 2012. Fifteen wines have been awarded the Platinum Best in Show medal – the highest accolade. “The sole purpose of the DAWA is to recognise and award quality. Originality and terroir are the most important for a wine to win an award.”, said Steven Spurrier, DAWA 2017 Chair. A majority of judges are based in Asia and include top sommeliers and Masters of Wine from 11 countries. Australia continued its success from last year’s competition by taking the lead with two Platinum Best in Show medals for the Best Single White-Varietal and Best Chardonnay, both won by McGuigan. Australia has won Best Chardonnay for the second year, plus seven Platinum Best in Category and 26 Gold medals. Argentina performed extremely well this year with three Platinum Best in Show, including one for the Best Red Bordeaux Varietals, one Best in Category and four Gold medals. France remained a strong winner with Bordeaux, Champagne, and Rhône winning a Best in Show medal each. Italy also received a top medal for Best Red Italian Varietals for a red wine from Campania. Spain won a Platinum Best in Show for Best Red Spanish Varietals, while Germany won one for Best Dry Riesling. South Africa shone amongst Old World contestants by winning a Platinum Best in Category for Best South African Red Bordeaux Varietals. The USA also scooped two medals for Best USA Red Bordeaux Varietals and Best USA Sweet in Platinum Best in Category. Wine lovers will have the opportunity to taste a selection of 2017 winning wines in Hong Kong, Shanghai and Seoul this winter, including the Decanter Shanghai Fine Wine Encounter on Saturday 18 November. 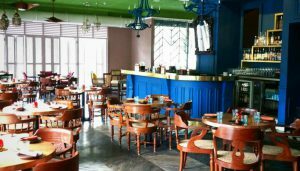 DAWA wines will also be featured at retail stores, restaurants and hotels across Asia. 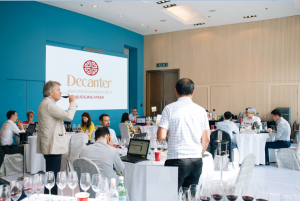 Over 50 top wine experts from across Asia joined our judging panel this year, led by Chair Steven Spurrier, Decanter’s consultant editor, and vice-chairs Ch’ng Poh Tiong, Shinya Tasaki, Gerard Basset MW MS OBE, Michael Hill Smith MW, Andrew Jefford and DecanterChina.com columnist Li Demei. Joining this year’s line-up is Sonal Holland, India’s first Master of Wine; Tan Ying Hsien, Singapore’s first Master of Wine; and Adrian Zhang, Director of Wine at the Park Hyatt Shanghai. Most judges work at top establishments in Asia. Judges gathered together in Hong Kong on 5-8 September to blind taste wines through organised flights. Decanter gives every single wine tasted an individual score. Wines that meet the required quality are given a seal of approval (commended), or a bronze, silver, or gold medal. All gold medal-winning wines within each category are re-tasted and a platinum medal is awarded to the best wine in each category. Indulge in a 5 course authentic Latin American Dinner paired with wines from Chile and Argentina in the company of Sommelier Nikhil Agarwal.